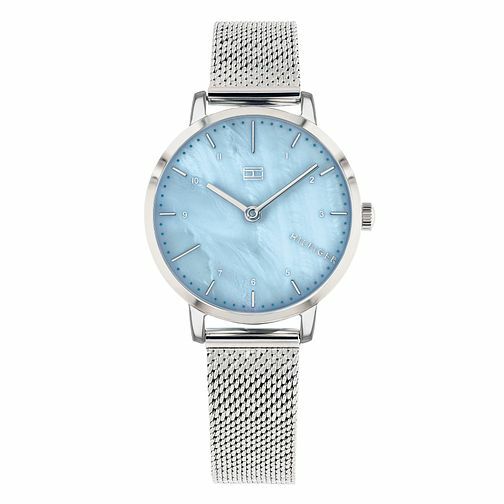 A classic ladies' timepiece by Tommy Hilfiger, the Lily model boasts a beautiful blue mother-of-pearl dial with silver tone accents: linear and arabic numeral indexes, the Hilfiger name and signature flag logo, and two-hands movement. A 30mm stainless steel round case perfectly compliments the stylish bracelet. Everyday style and sophistication for the fashionable lady.